Walking with Jesus: Day 137: Luke 18:1-17 & Psalm 133 - What Kind of Prayer Pleases God? Day 137: Luke 18:1-17 & Psalm 133 - What Kind of Prayer Pleases God? What kind of prayer pleases God? 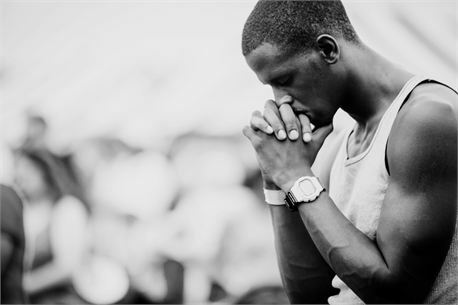 How can we pray in a way that connects with the will of God and reaches the throne of God's grace? Should we pray prayers to unlock the windows of the blessings of heaven? Should we pray for God to expand our territory? Should we formulate positive confessions of faith, affirming what we wish to be be true about ourselves and our lives? 1. Persistent prayer (vv. 1-6). One of the biggest challenges we face in prayer is losing heart and giving up. Jesus wants us to learn to persevere in prayer. Perseverance in prayer, when guided by Scripture, often sharpens, refines and sometimes changes our desires and our prayers. Sometimes we learn to wait on the Lord, as our desires and prayers are affirmed and strengthened. Sometimes we learn to change our prayers to better align with God's will. 2. Humble Prayer (vv. 9-14). God does not seek nor does He honor self-centered, self-righteous, self-affirming, self seeking prayer. But as Jesus said, "For everyone who exalts himself will be humbled, but the one who humbles himself will be exalted." 3. Child-like Prayer (vv. 15-17). "Let the children come to me, and do not hinder them, for to such belongs the kingdom of God." When we see ourselves as helpless and we trust in God to save and bless us according to His gracious power, in His sovereign goodness, we are beginning to approach God as a small child. This is the approach God blesses. like incredible dew, heavy and refreshing, coming down on the dry and thirsty places.